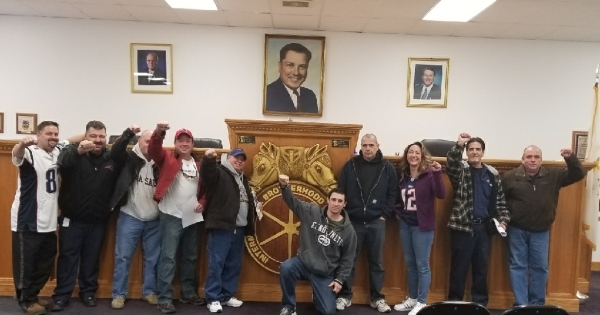 Skilled maintenance workers at Roger Williams Medical Center represented by Teamsters Local 251 in East Providence, R.I. unanimously ratified a first contract following more than a year of fighting for improvements on the job. The workers joined Local 251 on January 6, 2017, but faced an uphill battle during negotiations that led to the union filing five unfair labor practice (ULPs) charges against the company. The ULP charges included failure to bargain in good faith, failure to provide a scheduled wage increase and unlawful surveillance. The workers stood together in solidarity throughout the fight, staging an informational picket in front of the medical center in September 2017 to raise awareness of the company’s behavior. The three-year contract, ratified on February 4, 2018, includes strong language regarding seniority, equipment and safety, job security and protections against the expansion of per diem employees. The contract also includes wage adjustments for shift differentials, on-call pay and wage increases of an additional 5 percent over the life of the agreement. 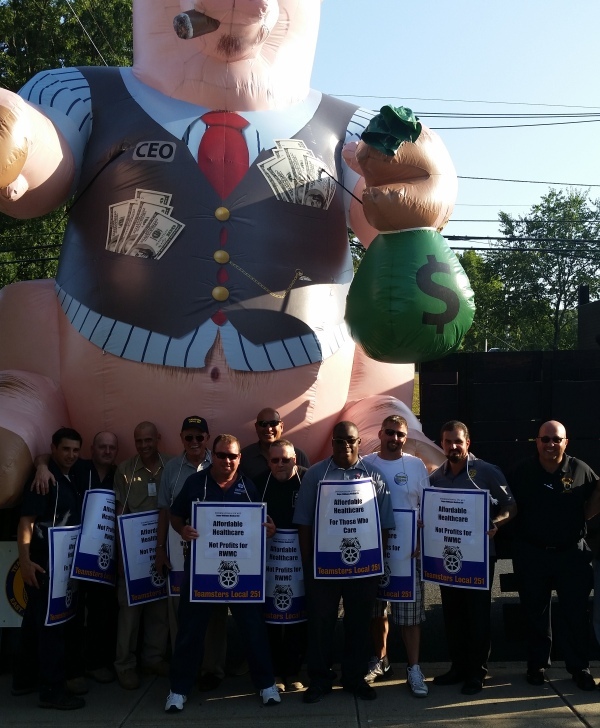 The members also received an immediate wage increase and bonus triggered by the contract ratification. The skilled maintenance unit at Roger Williams Medical Center includes the boiler operators, electricians, HVAC techs and mechanics, carpenters, plumbers and pipefitters, painters, mechanics and maintenance engineers.